This is our place…this is our planet. Let’s explore! 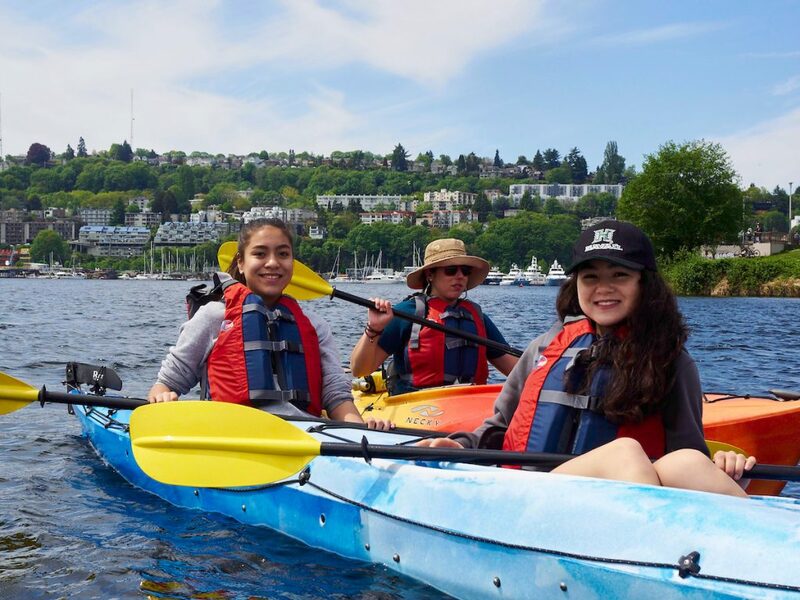 In Y-WE Nature Connections, young women* build a personal relationship with our amazing natural world as we experience and learn about our local natural places first-hand. In every workshop, adventure and field trip, we dive into the importance of sustainable living and find out about ways to protect our natural places. UPDATE: Our Nature Connections programs are full for this year. We’ll see you next year! Click here for an inspiring testimonial from a Nature Connections mentor! 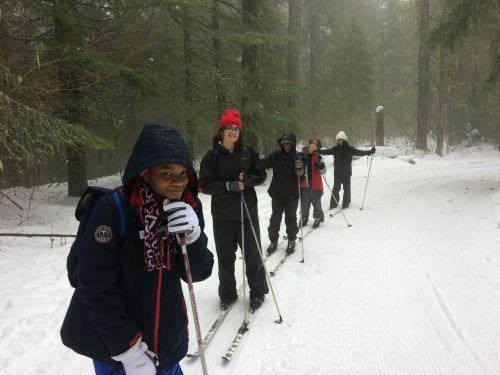 The Y-WE Nature Connections program includes two powerful communities: the Y-WE Nature Connections Main Cohort (NCMC) and the Environmental Leadership Council (ELC). Participants choose one of these communities for the full program year. 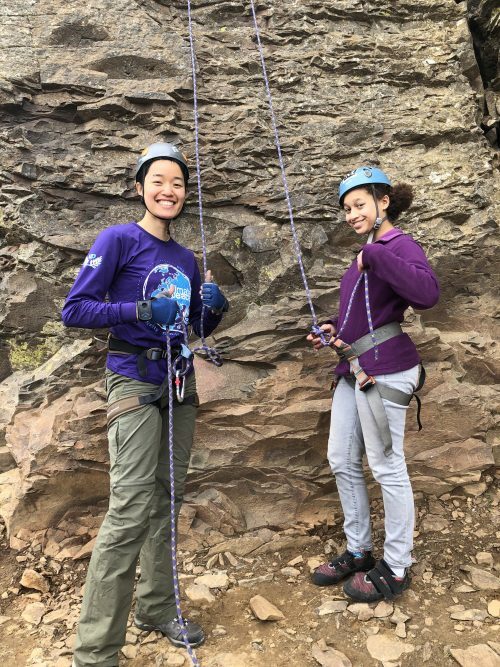 In a supportive and diverse community of girls and women, Y-WE Nature Connections participants have fun exploring the outdoors. We actively engage our bodies, encounter the beauty of wilderness, deepen our relationship with ourselves, practice skills that promote safety and resilience in the outdoors, explore our relationship with nature and people, and discover ways we and our communities can be good stewards of our natural environment, protecting our earth for future generations. Adventures include rock climbing, snowshoeing, cross-country skiing, hiking and more. NCMC meets 2-3 times a month from October 2018-June 2019. Our meetings take place on weekends, with a few Thursday night meetings throughout the year. The ELC is a new Y-WE program in 2018. 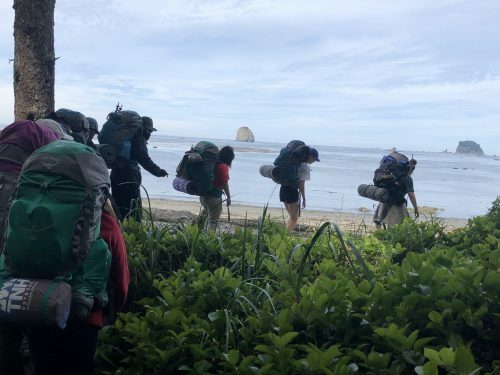 It was born out of a desire of Y-WE Nature Connections participants to deepen our awareness of environmental justice issues and gain facilitation skills to take action in meaningful ways. The ELC is a group of 12-15 youth and 5 adult mentors who meet 2-3 times a month in the greater Seattle area. Our meetings take place both on weekday evenings and on some weekends. During ELC meetings, we will explore what it means to live in a healthy world, learn about environmental justice issues in our community, learn about food justice and healthy eating, hear from professionals working in the environmental field, and deepen our leadership and facilitation skills. **Schedule is subject to change. We will keep you updated ASAP. Y-WE Nature Connections is made possible through the generous support of the Washington State Recreation and Conservation Office, REI, Clif Bar Family Foundation, The Russell Family Foundation, Keen Effect, The Mountaineers and many generous Y-WE donors.